I mentioned recently on this blog that Imagine! has been working on changing our approach to performance management and performance evaluation. This is a topic I will return to occasionally in this space because I think it is so important to the success of our ability to meet our mission. Some interactions I have had with some newly hired Imagine! 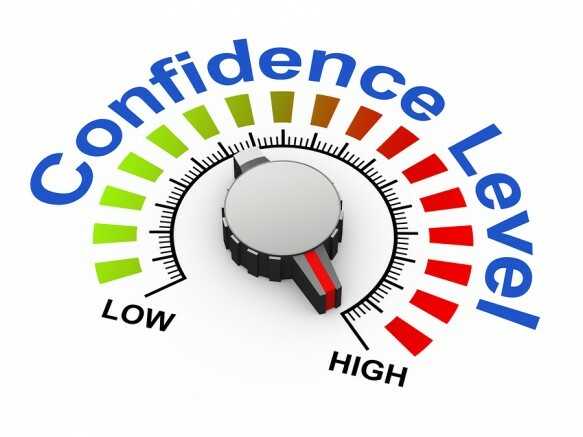 supervisors got me to thinking about confidence. Specifically, I wondered if we are doing enough to not only provide our supervisors with the skills and tools they need to do the job well, but also if we are instilling the confidence they need to do the job well. You may ask where the distinction between skills/tools and confidence lies. I believe it is the same as the distinction between how and why. The “how” part is fairly simple. You can easily show somebody what forms they need to fill out, what boxes they need to check, or what dates and times specific projects are due. Those are important. Equally important, in my mind at least, is establishing the “why” of the job. Supervision is a very human endeavor. And human beings are complex, and they sometimes, may I say, become independently creative when asked to conform to an established set of tools and instructions. So if your only knowledge is the “how,” you aren’t very well equipped to address those deviations that inevitably will occur in supervisory duties. In other words, if your comfort level as a supervisor is that you can readily fill in for someone you supervise, there is a great deal of room to grow. 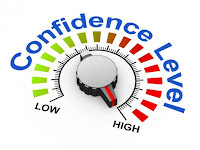 As more cases like that arise, supervisors can find themselves losing confidence rapidly. Much better then, to help new (and established) supervisors to understand the “why” of the work to be completed, a reason to be; and to be able to convey that purpose to others. Having a solid understanding of the why of their job gives them a solid foundation which allows them, somewhat counterintuitively, to be more flexible with their decision making in the face of unexpected challenges. With a firm footing based on the why of the work, a supervisor can be more effective and feel more confident when leading others and giving them purpose beyond “how” to complete their tasks. Imagine! hasn’t always been great at helping new supervisors grasp the larger picture before throwing them into the mix. But we need to be. Supervisors at Imagine! have important and difficult jobs. That is why we are working to ensure that our supervisors are given clear, realistic performance expectations while at the same time presented with milestones to strive for as they continuously work to improve their ability and confidence in their key efforts toward the creation of a world of opportunity for all abilities. I thank them for their efforts, and stand ready to support them so that our mission moves ever closer to reality.